Gearbox has shed more light on their upcoming Headhunter pack, The Horrible Hunger of The Ravenous Wattle Gobbler. The Thanksgiving themed pack will bring a new area, new characters and a return of the ever-popular Mr. Torgue. Like the last Headhunter Pack, the shenanigans will lead to an immense boss battle, after which each player will unlock a special head to mark the achievement. The Boss this time? An enormous, nigh invincible Turkey monster creature... thing. It's scary, trust me. The story this time involves Mr. Torgue throwing a hunger themed competition. Teams of competitors have been selected from all over Pandora to compete, but only one can emerge victorious. Sound familiar yet? It should. There are more than just references to the Hunger Games though. Anything food related is fair game this time around, from reality TV to Pixar films, players can expect even more Easter eggs than Bloody Harvest. Players will also get to know Mr. Torgue a little better, with some insight into the history of the Torgue Corporation that I won't spoil and a special visit from none other than Grandma Flexington. I can barely contain my excitement. The previous headhunter pack featured a boss and area themed around Halloween, something fairly easy to picture. Making Thanksgiving a physical location is a much more difficult task, but one I think the team tackled really well. Players will notice distinct autumnal colors, as well as gold and red leaves falling from trees. They even managed to capture the cast of the sun perfectly. That sort of bright sunset cast from the sun adds just the right atmosphere to the area. 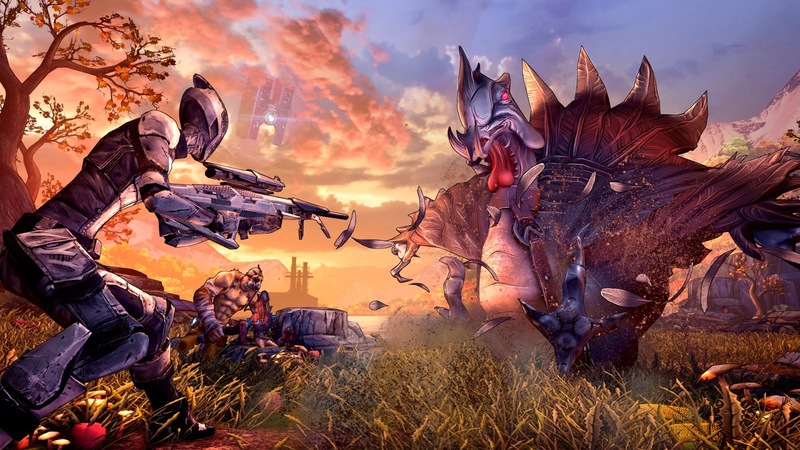 Some have said that Gearbox has been overdone it on DLC for Borderlands 2, saying that the company should just start work on Borderlands 3. I am happy to keep playing Borderlands 2. The Headhunter Packs were brought into being because fans were crying for more after Tiny Tina's Assault on Dragon Keep. As long as the fans still want more, Gearbox seems happy to oblige. "The Horrible Hunger of The Ravenous Wattle Gobbler" will be released on November 26, just in time for Thanksgiving here in the US. 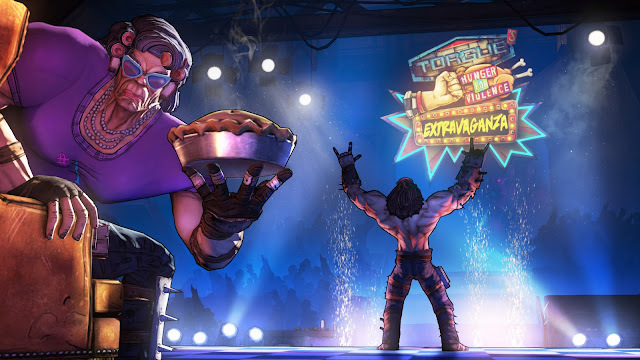 Next month, Gearbox plans to release the third Headhunter pack, entitled "How Marcus Saved Mercenary Day." If each of these packs are to be themed on a holiday, would it be too much to ask for a return to Moxxi's Loverpalooza come February?